Overplay is basically new to the VPN and may be everyone is not familiar with its services. May be the other people who have used VPN overplay services have other views or experiences, but for it is one of the most mainnovative VPN providers currently in the market today. In this Overplay review I am going to highlight all pros and cons of the services. Global VPN with SmartDNS is another option given to the users. The attributes and features I have mentioned above about SmartDNS gets double when we talk about its services along with global VPN. 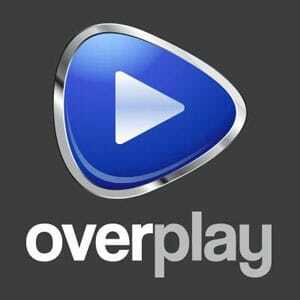 Note that the Over Play’s VPN provides user the access to servers across 50 countries. But when the user subscribes to OverPlay’s Global VPN incredibly it provides access to 48+ servers, which is truly an amazing feature. With such an extended server list it is easy to evaluate how strong the network services are. The users can access the extended services through PPTP, L2TP and OpenVPN protocols. Such amazing services for$9.95 is a clear justice. If somebody will see it expensive then I think that user has no idea about how other service providers are giving services in comparison to Over Play’s Global VPN. Apart from its great server list there is another jaw dropping feature about Over Play’s Global VPN and it is all about great device compatibility it shows. Seriously, I had no idea that it would be compatible with so many devices. The long list of the service compatible devices include, Windows, Mac, Linux, iPhone/iPad, Android, Boxbee, AppleTV, PS3, XBOX 360, Roku and DD-WRT Routers amongst others. Unlike Smart DNS webpage, the Global VPN provides detailed step-by-step instructions to help users configure Global VPN on the desired device. The FAQ section is another comfort feature. Its smart DNS (Domain Name Server) services allow us to unblock the regional blocked websites, which do not display their content for the users belonging to other cross border regions. It provides an easy way to unlock those sites and access them from any corner of the world with its original good speed. You can enjoy your favorite websites without any location based restrictions. With these services you even do not need to make any changes in your device. It comes with a benefit by offering the direct access to some pre-unlocked website with no alterations in the connectivity speed. It does it by directly unblocking. The price of SmartDSN is $4.95 and does not need any software to be installed. It functions as similar to VPN services with almost same speed. You just have tomake little changes in DNS to access to unlimited websites. I have observed that it is not compatible with many devices like other VPN services, but it works flawlessly with XBOX 360, PS3 and few others. Additionally, it supported that OverPlay provide customized setup guides for Windows, Mac, Android, Linux, Boxee Box, Apple TV, iOS and Routers. It can be understood that users will not observe a sell-and-forget approach like other VPN service providers. Also I found in order to configure the SmartDNS manually. The designed setup guidelines mentioned on OverPlay’s blog were easier for users to understand and follow. With Smart DNS you don’t have to worry about selecting servers, switching IPs, checking connection status or waiting for long time to have log-ins to authenticate. It has a gunshot solution which is more like installing any other easy software – and one reboot later and a great access to blocked websites is just a click away! On the other hand, there are some disadvantages of SmartDNS that I have observed so far. Likewise, it has noticed that it does not provide any privacy while using internet as VPN provide. I believe that OverPlay’s SmartDNS is great for the user, who use internet for casual purposes those who are least interested or concerned about the confidentiality of data. When someone uses it, his/her IP is disclosed and you have to get VPN service to keep the IP address hidden in order to enjoy personal security. The regular users of OpenVPN’s server strength and satisfactory services and thus, the OverPlay VPN’s SmartDNS service utilizes the VPN servers; which is consider great as it has direct effect on SmartDNS’ performance. Overplay has provided it users with an outstanding selection of Server locations. As I have mentioned above as that the Smart DNS servers are located in more than 50 localities, while global VPN along with Smart DNS had server in approximately 243 international location with almost 12,000 users with different IP addresses across the world. Additionally, I would like to mention here that before writing the review I have gone through a few reviews of Over Play’s services in International countries and with satisfaction I have found good reviews about the performance of the VPN services. The design, use of color and smooth navigation on the official website is appreciable, but the irritating thing I have found is that the information and the guideline that are useless for users is quite scattered, the user has to search well and spend more than usual time in order to get the clear instructions. So if the official operators of the website are reading these comments kindly do something about it as it would be beneficial for your services and reliability. Prices for Global VPN + SmartDNS starts from $9.95/month and goes up to $99.95 for 12 months. Initially I thought that $9.95 is a little more than what I was comfortable, but later when I compared the pricing and policy of other similar service providers, I found it reasonable. Overplay accept payment through Credit Cards, Google Checkout and 2Checkout facility will allow you to pay non-recurring subscriptions via PayPal. It is impressive that Global VPN + SmartDNS package is offered with 48 hour money back warranty cover while, SmartDNS comes with a 14 day money back warranty! I think it is fair from a wider spectrum. I got this from OverPlay’s Live Chat representative, Dorothy White. Fastest customer support I have ever come across as the response came within a minute. However, it is my personal observation and suggestion that if Over Play reduced prices then more users will go for SmartDNS along with the Global VPN. I found that the Overplay VPN is much easy to install, as the user simply has to download the application and with just a few clicks it gets installed in the system. The user interface is stress-free to do as it does not requires too many rooms because window never upholds too much information. I will highly recommend it those who do not have time for long and hectic processing, go for it if you are looking for simple options inn services. I have used it, experienced it, explored and now finally reviewed it, I like and planned to use it in the future. I would definitely recommend it to all users out there who want to enjoy their favorite websites without any hassle. Although, it is worth-mentioning that Over Play does not provide any automatic subscription renewal, so I had to fix in a reminder on the calendar, which helps me to renew my subscription at the right time. From the two options VPN OverPlay offers to its users i.e. SmartDNS and Over Play Global VPN + SmartDNS, I would prefer going for the second option (Play Global VPN + DNS smart).